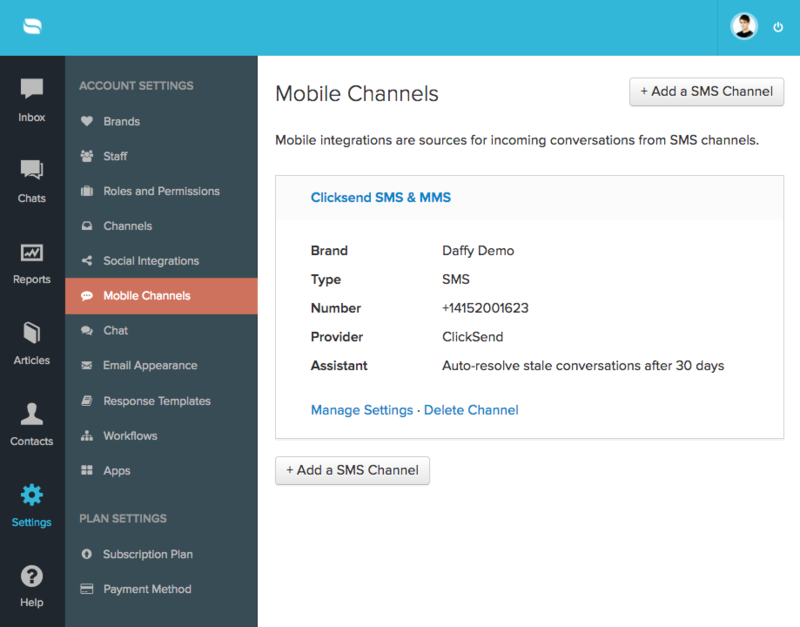 Reamaze currently supports SMS and MMS mobile channel integrations through ClickSend and Twilio. 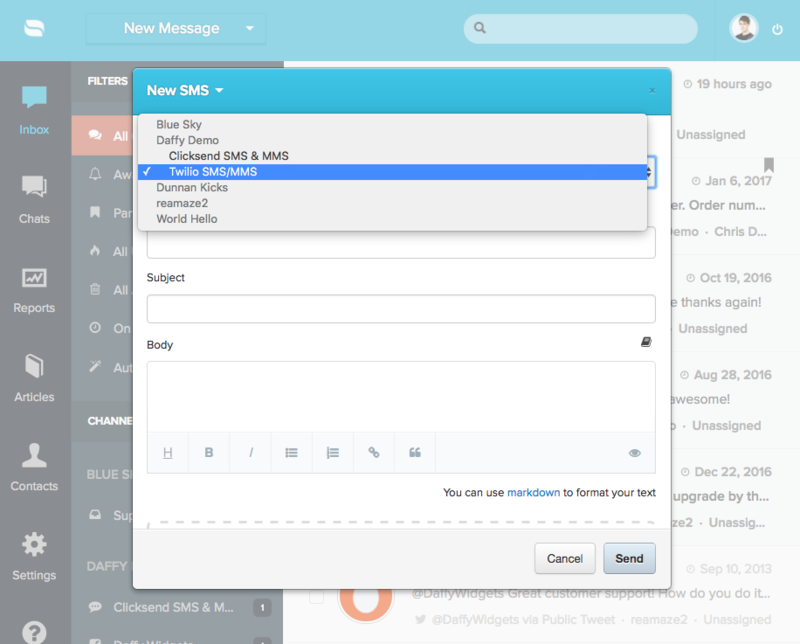 For ClickSend, you can choose between a SMS only number, MMS only number, or a combined number for both SMS and MMS. 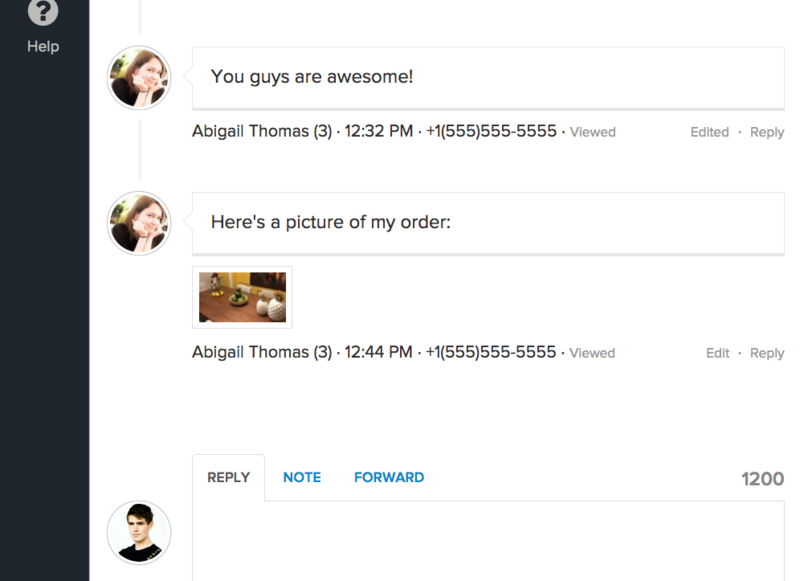 For Twilio, you'll have a number that supports both SMS and MMS. 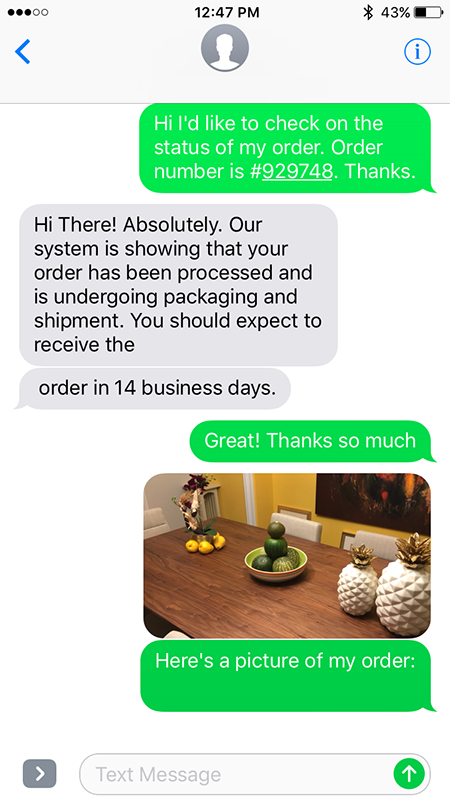 Both solutions make it super easy for you to support customers via text messages. Supporting customers via SMS and MMS can offer advantages over other channels such as email, live chat, or social media. SMS and MMS are asynchronous my nature, mobile by default, and can enhance the customer relationship experience. For businesses with a younger audience, SMS and MMS is a must as it offers near instant conversation environments. 1) Go to the “Settings” menu and click on “Mobile Channels” under Account Settings. Click on the “+Add a SMS Channel” button. 2) Start by giving this mobile channel a name. Input your ClickSend credentials as instructed. Once complete, click on the “Fetch Number” button to have us automatically pull the number you’ve registered with ClickSend. 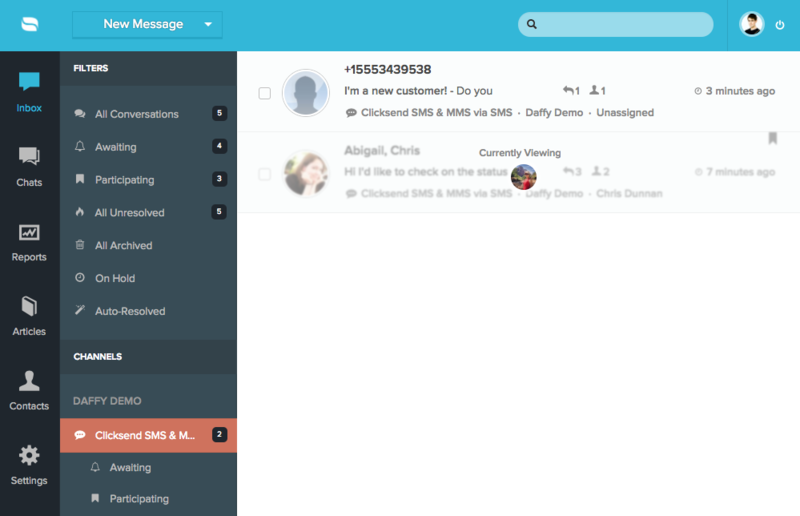 3) Once connected, incoming SMS/MMS messages can be found on the main dashboard under “All Conversations” or under the dedicated filter for SMS and MMS conversations. The view below shows you the filtered view. 4) New SMS or MMS conversations will not have existing customer profiles attached to them. Feel free to engage with the customer at this point and step 5 will show you how to merge a phone number to an existing customer profile. SMS and MMS conversations have the same settings and controls as non SMS/MMS conversations. You can resolve/unresolve, assign/reassign, remind, and apply manual workflows. 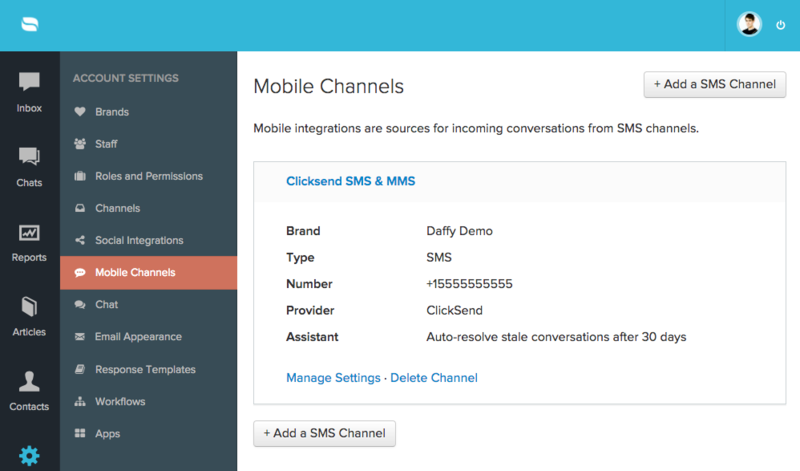 You cannot however, move SMS/MMS conversations to a non-SMS/MMS channel. 5) Customers can send you images via SMS/MMS and you will receive them as attachments. You can also reply to customer with attachments. 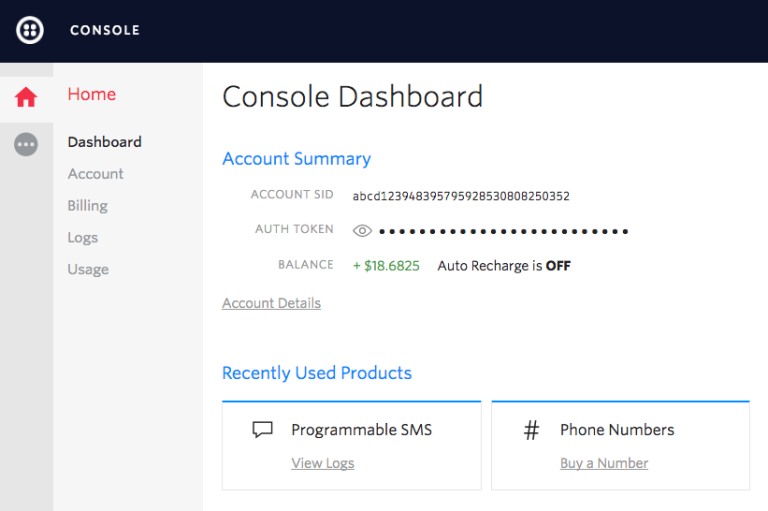 1) Log into your Twilio account and start by locating your Account SID and authentication token (key). 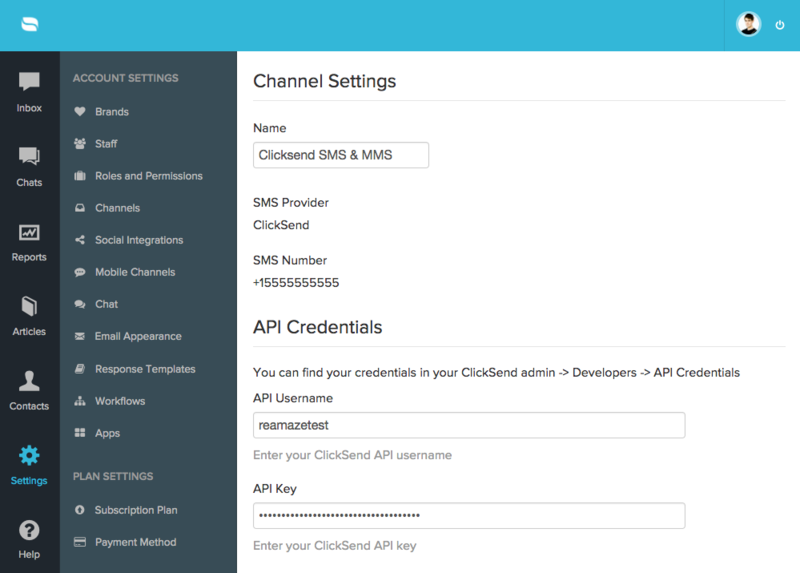 2) Next, log into your Reamaze dashboard, go to “Settings” then “Mobile Channels” and click “+ Add a SMS Channel”. 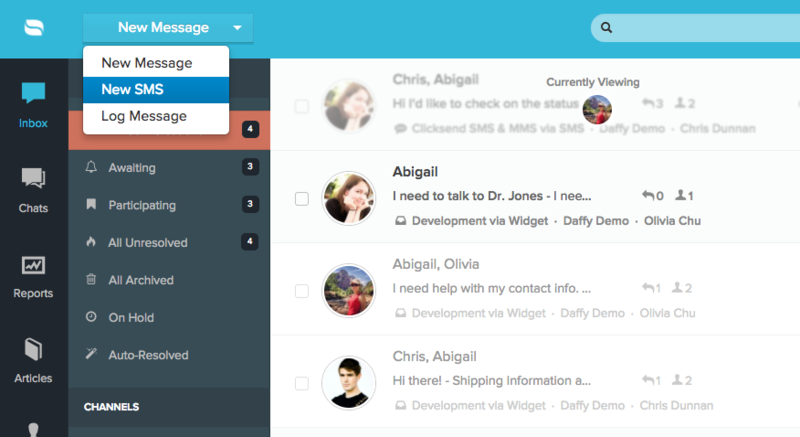 If you already have ClickSend, you can still add a new one for Twilio. 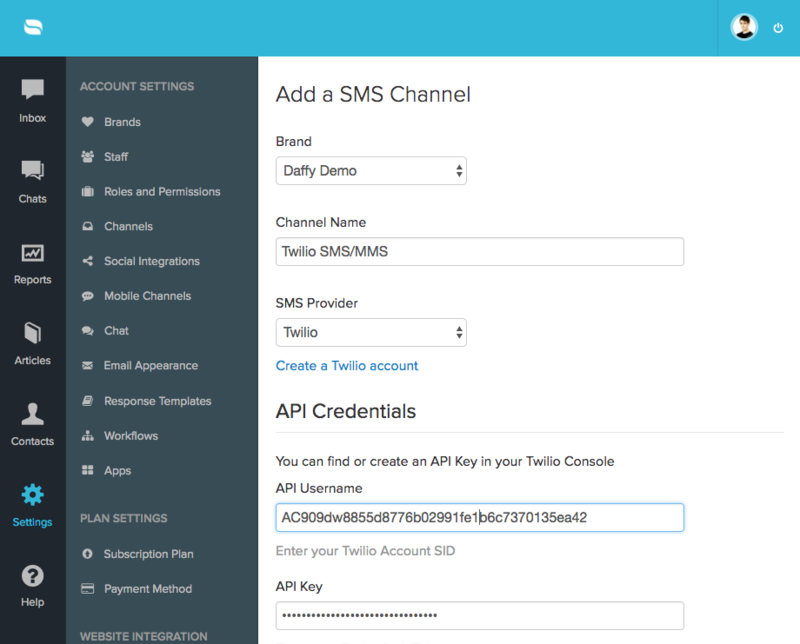 3) Select Twilio as the provider and enter the Account SID and authentication token (key). Make sure to fetch your phone number to verify that everything is setup properly. 4) Click update and wait for the confirmation message. 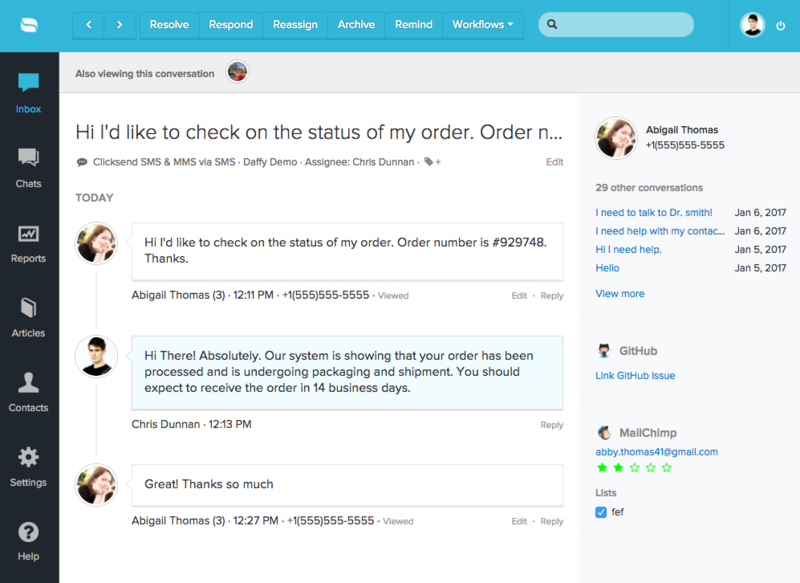 5) You can now receive and send SMS/MMS messages to customers! 7) To merge a customer’s phone number to an existing profile, simply go to “Contacts”, look for the customer’s primary profile you’d like to use, and click on the “Add a phone number” option. Click “Update” to save. 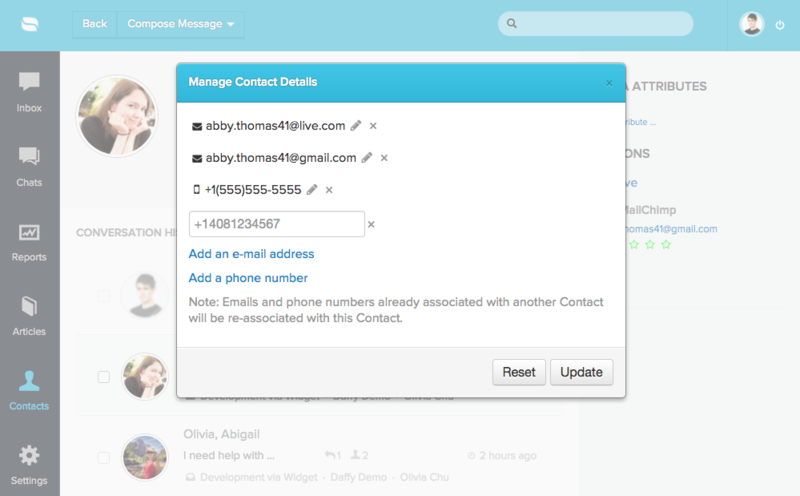 This merge will also merge all existing SMS/MMS conversations from the original phone number profile to the primary profile. 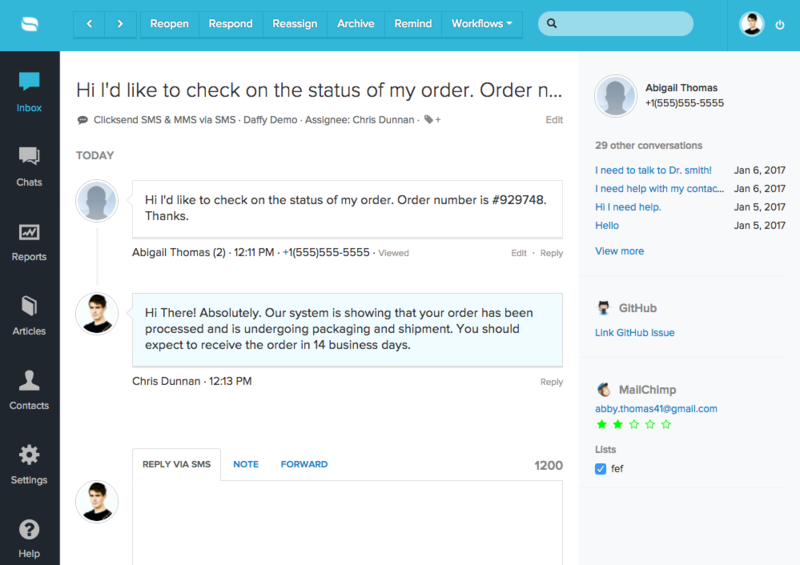 8) Once merged, refresh the SMS/MMS conversation and the profile will be updated with the customer’s correct avatar and conversation histories. 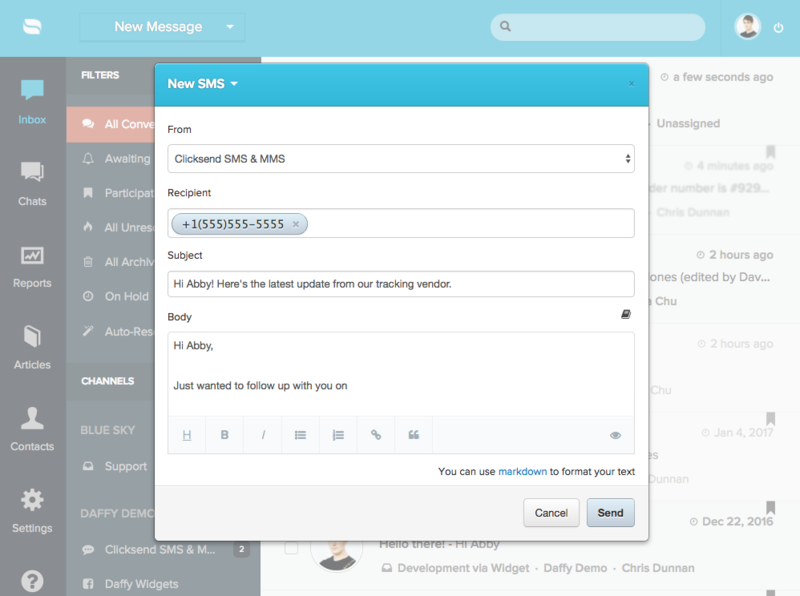 9) You can also use the “New Message” feature to send an outbound SMS/MMS message to customers.